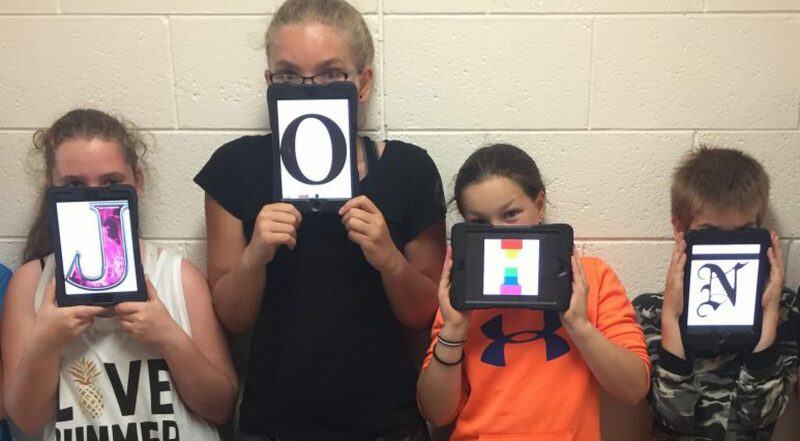 Ontario Edu Student Twitter Chat (@ONedSsChat) was founded by Leigh Cassell in the Spring 2017 to connect K-12 students across Ontario and empower student voice. #ONedSsChat creates opportunities for students to network with others, gain perspective, build character, explore relationships with new learning partners in a literacy-rich learning environment, experience social media as a powerful platform for learning, and establish a positive digital footprint. Erin Kim is a grade 12 student at Cardinal Carter Catholic High School in Aurora, Ontario. As an International Baccalaureate student, she enjoys interacting with other students with a passion for learning. Erin also loves musical theatre and has performed and taught over 15 shows since elementary school and is now a private vocal instructor. With her dedication to spreading the importance of mental well-being, she acts as a youth mental health advocate both in and out of school through the organization Jack.org. Her goals this year is to promote #ONedSsChat through various social media platforms, as she firmly believes that students should have the opportunity to voice their opinions beyond the scope of the classroom. She is looking forward to building new relationships with students throughout Ontario through Twitter discussions! Catalina Musteata is a grade 11 student at Cardinal Carter Catholic High School in Aurora, Ontario. She is an IB student with a great passion for learning, so she spends most of her time studying, exploring the world and finding new adventures. She LOVES reading books and is also passionate about French culture and language. She is the president of the school French Club and is an active member of her school community. Catalina enjoys travelling and making new friends. Gobi is a Grade 8 student from Bell High School. He is a passionate and enthusiastic learner who always tries to keep a positive attitude. He knows three languages: English, French, and Tamil and he hopes to soon learn Spanish. Gobi is a very social person, and when he isn’t talking to someone, he is reading, sleeping or trying to learn a new skill. Gobi’s goals for this year include learning Spanish, developing a Twitter presence, and helping out with #ONedSsChat. I am in grade 7 and go to school at North Perth Westfield Elementary. I love coding, helping out around school and now I am also looking forward to helping out with the Ontario Students’ Twitter Chat. My hobbies include playing the clarinet, swimming and playing baseball and basketball. Rylin is 13 and goes to Howick PS. She is a tech savvy girl. She can code a robot, set up a website and Rylin is now looking forward to helping with the Ontario Students’ Twitter Chat. Rylin’s hobbies include playing many musical instruments, listening to many genres of music and watching HGTV with my family. Some of Rylin’s accomplishments are passing Swim Kids 10, completing her babysitting course, and receiving a orange belt in karate. Leigh Cassell is a voracious learner, educator, adventurer, entrepreneur and partner in learning with teachers and students around the world. Leigh is an Education and Innovation Consultant currently working as the Manager of Innovation and Learning at SPARK. Driven by her passion to inspire in others a love of learning, Leigh’s expertise is grounded in how we integrate digital technologies for the purpose of building relationships for learning, developing global competencies, designing new literacies, and preparing students to succeed as next generation learners. Leigh is Founder & President of Digital Human Library, Ontario Edu Student Twitter Chat, Co-Founder of A Kids’ Guide to Canada and OnEdMentors Connect, and a Founding Partner of Live Learning Canada. Leigh also works as an Apple Distinguished Educator, certified Google Educator, and SMART Certified Interactive Teacher. Brock Baker is an experienced Canadian high school educator, speaker, writer, analyst, consultant and project manager. In collaboration with his students he co-founded the provincial wide sharing network @ONThoughtBakery in 2015 and in 2016 started the student educational conference #OwnYourEd. Brock is a frequent speaker and organizer at edtech conferences, sharing his expertise in eLearning, blended learning, and philosophy of educational technology. He is constantly exploring new ways to engage students to develop the critical knowledge, skills and attitudes required for responsible citizenship and healthier lives.